Since the dawn of our human record, bees have been a symbol of spiritual death, life + rebirth - from fifteen thousand year old cave paintings in Valencia to the mythology of the ancient Celts, Egyptians and Greeks. 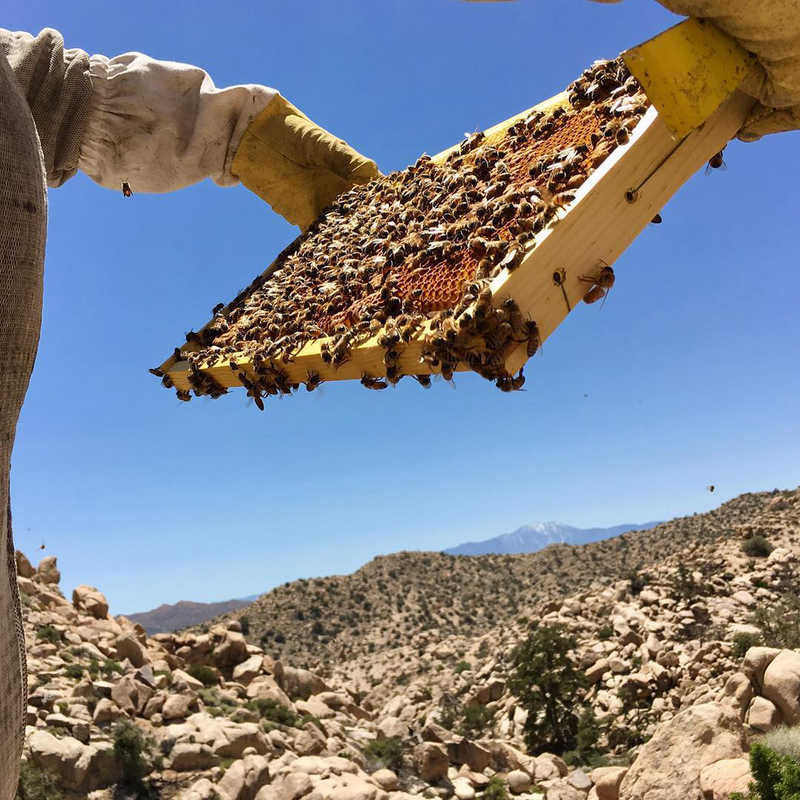 For Robin, aka @honeygirlgrows, bees were at the center of her own story of near-death and rebirth. Like many in the Junto, Robin pursued a traditional career before fate threw a wrench in the gears - a serious car crash that left her physically and psychologically injured. The experience of losing everything does something to a person - it forces you to give up or fight. In the process, you tend to learn what you're made of. Robin's journey to recovery lead her away from a path that, while "stable" and prestigious, was inconsistent with her - heart, soul and roots. Liberated from the 9-5 hustle, she started designing gardens and apiaries for chefs, communities, and non-profits, and hasn't looked back since. For me, her story was a poignant reminder that the universe has a way of bringing us back to who we're meant to be, if we just let it. It's never easy - but without pain, discomfort, and fear, what is there to overcome? Without sacrifice and hardship, how do we measure the weight of a character untested by loss? These are ideas to hold close in times like these, when cynicism and hopelessness are at a peak.